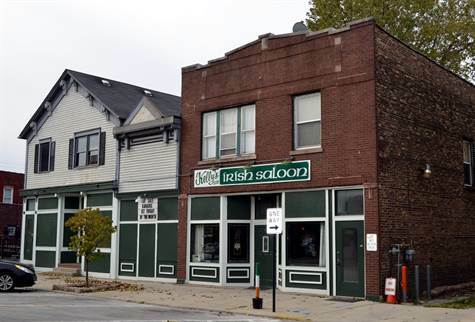 Great opportunity to own your own bar/pub business on quaint Olde Western Avenue. This 7000+ sf building is located across from The Maple Tree Inn and from Mario's Tacos. The main level consists of a large bar area, an adjacent game room, a private party room and a fully equipped kitchen with a walk in cooler. The basement provides more than adequate storage. For additional income, there are three upper level apartments with individual heat. Also included are two garages and a 2700 sf lot for off street parking. Priced to sell quickly!